Being pregnant is a wonderful period that proves just how much of a miracle life truly is. It’s also a season where your body shows you just how much of a pain it can truly be! Your belly gets bigger and bigger, and your back feels every added ounce, especially at night! Sleep can be an elusive friend during pregnancy, but choosing the right pregnancy pillow that will support your body and the way you sleep can help greatly. 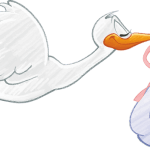 We’ve listed a few things to consider when making your purchase and we’re also listing ten of the best reviewed pregnancy pillows on Amazon. So, kick your swollen feet up and pick the pillow that’s perfect for you! You may think a pregnancy pillow comes in just one shape and size, but you’d be mistaken. This is exactly what it sounds like: it’s a comfy wedge that slides under the body part aching you the most, be it your back or belly. These are the smaller options, so it’s also the cheapest and most portable! You’ll still need your normal pillow for under your head, but these are a great supplement without taking up the whole bed. These super long pillows are the length of your body and are straight. Basically, they replace the two king-sized pillows you’ve been trying to get by with. They’re made to be snuggled all through the night, just like you’d cuddle up to your hubby. Typically, they’ll replace your head pillow as well since they’re so long. These are the bad boys! This pillow wraps around your entire body so it hugs your front and back. They come in two shapes, C Pillows and U Pillows, and they look just like their names. The base of the pillow comes between your legs and your head rests on the top. Measuring around 6-feet, this pillow will replace all of your pillows and take up all of your bed, but you’ll feel like you’re sleeping in a wonderful pregnancy cocoon. Once you’ve decided on the best shape for you, there are still a few factors to think about. As with most pillows, pregnancy pillows come in a variety of fillings. Polyester Fiber – super soft and quiet, but not very breathable. Styrofoam Balls – a cheaper filling just like you’d find in a beanbag, which can be noisy but super adaptable to your body. 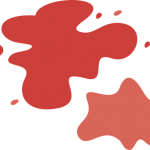 Memory Foam – a firmer and more expensive option that can be warm unless made of shredded foam. Micro-beads – feels like sand and super light so it’s easy to move around and stays quiet. Do you want a removable cover? Think about where your pillow is going to be all night long. If you think you may want to wash it every now and then, make sure you get a pillow with a cover you can take off to clean. Some of these pillows can be absolutely huge, so keep that in mind when you’re looking around. You don’t want your bed partner to feel like they’ve been replaced with a pillow, but you do want to make sure you’re getting the proper amount of support you need. So now that you’ve thought about what kind of pillow you want, let’s take a look at the top ten pillows according to Amazon. They’ve been tried by hundreds of pregnant women and found to be worth their weight in gold. 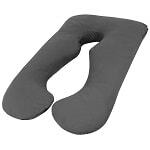 This total body pillow is great for pregnant women suffering from sciatica pain and gastric reflux. 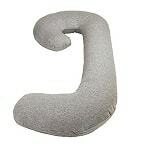 It’s a U-shaped pillow and is made of polyester with a removable cover. It’s quite large, but customers say it will fit in a queen-sized bed with two adults sleeping in it. Some complained about the seam on the pillow case being uncomfortable around the neck, but most people seemed to love the pillow despite the design flaw. Out of 2,700 reviews, this pillow gets a 4.2 out of 5 stars. This total body pillow is great for sleeping or resting and is U-shaped. It’s polyester-filled with a removable cover with zipper. Customers say it’s like floating on a cloud! Buyers should be aware that there seems to be a color discrepancy and that the actual product is a “stone” color rather than green. Out of 309 reviews, this pillow gets 4.3 out of 5 stars. This total body pillow is C-shaped and is patent-pending. It’s polyester-filled and has a removable cover. It’s supposed to be perfect for pregnancy and even for nursing after the baby comes. One customer says it made for a “happy pregnant wife”. One woman suffering from acid reflux during her pregnancy said this pillow helped her stay propped up more through the night and that her symptoms were lessened. Out of 6,500 reviews, this pillow gets a 4.3 out of 5 stars. This total body pillow is an oversized U-shaped pillow that helps relieve pressure to pretty much any area. It comes with a zippered cover and is hypoallergenic with a down-alternative filling. Customers say it’s worth every penny. If you’re hot natured, this may not be the best option for you, though, as some customers have complained it gets quite hot. Out of 51 reviews, this pillow gets a 4.5 out of 5 stars. This is another total body pillow that’s actually J-shaped to support your back and belly. It comes with a removable cover and is polyester-filled. Customers say it’s heavenly and that it helps them stay off their back during the later months of pregnancy, as doctors have recommended. Out of 362 reviews, this pillow gets 4.3 out of 5 stars. This is another total body pillow that’s polyester-filled and U-shaped. The cover can be removed and is made from 100% cotton, making it breathable. Customers say you just lay in the middle and are surrounded by “soft comfort”. This pillow is good for side and back sleepers alike. However, keep in mind that the best position during pregnancy is on your left side. Out of 25 reviews, this pillow gets 4.8 out of 5 stars. This oversized total body pillow is U-shaped and long enough for you to completely stretch out and be surrounded for complete support. It’s filled with a premium fiber called “Fusion Fiber,” which is said to allow air to flow freely. It comes with a removable cover. The reviews are all phenomenal and raving. One woman said it even helped her stop snoring, much to her husband’s delight! Out of 127 reviews, this pillow gets 4.3 out of 5 stars. This pillow is similar to the Leachco Snoogle we mentioned earlier, but it comes with a jersey knit cover for extra comfort. Customers say the fabric is soft like a t-shirt, so it stays cool throughout the night. Some reviews say you may have to play with the placement of the pillow to get the right setup for your body, but once you do that, you’ll love it. Out of 542 reviews, this pillow gets 4.4 out of 5 stars. 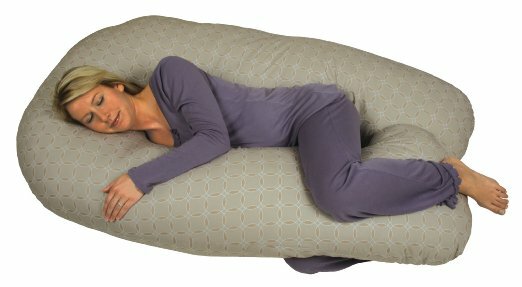 This total body pillow is U-shaped and has a removable cover. It’s filled with polyester, making it breathable and quiet. One pregnant woman calls it her “new best friend”. 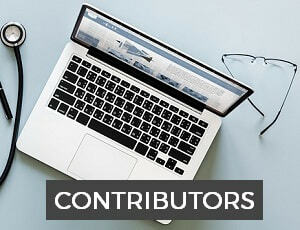 Long-time customers say that the pillow keeps its shape and doesn’t flatten out over time. Out of 90 reviews, this pillow gets 4.3 out of 5 stars. This total body pillow is another great one from Leachco, but this one comes with a pretty cover that’s removable for easy cleaning. It’s the perfect choice for mothers of any size or shape and is polyester-filled. One woman said her hip pain, which she’s experienced throughout her pregnancy, was gone after sleeping with this pillow! Out of 322 reviews, this pillow gets 4.3 out of 5 stars. As you can see, the top ten pillows on Amazon are all total body pillows. If you’re looking for a full-length or wedge pillow, you can find these on Amazon as well. Be sure to read through the reviews and see what other women have found out about the products and which ones they recommend over others. From what we can tell from the reviews we’ve read, some of the lower to mid-range pillows get just as good, if not better, reviews than the higher priced pillows, so don’t think more expensive means higher quality. No matter what pillow you choose, we think this is an investment worth making for every pregnant woman. Sleep is a precious thing and these incredible pillows can actually make it a possibility!